Free Shipping Included! Mud Pie Antler Wreath Holder Over the Door Hanger Gold by Mud Pie at Two Clock. MPN: 4264537. Hurry! Limited time offer. Offer valid only while supplies last. 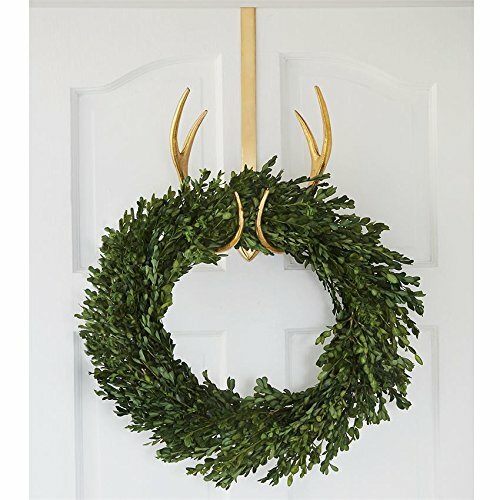 Gold foiled metal antler wreath holder hangs from top of standard door and holds 20"-24" diameter wreath.